Just got home from an amazing Permaculture Design Certificate course on la Gomera, canaries islands. A really interesting and educating course with some amazing people set in a magical subtropical paradise! Tought by Helder Valente with the New School permaculture this gives you a deep dive into the world of permaculture. "Permaculture is a branch of ecological design and engineering that develops sustainable human settlements and self-maintained agricultural systems modeled from natural ecosystems." said someone but this doesnt really give total justice to the full understanding of "whats it all about". Take Care of the Earth: Provision for all life systems to continue and multiply. This is the first ethic, because without a healthy earth, humans cannot flourish. Share the Surplus: Healthy natural systems use outputs from each element to nourish others. We humans can do the same. By governing our own needs, we can set resources aside to further the above ethics. This together with some basic principles you get a picture of the basic concept. 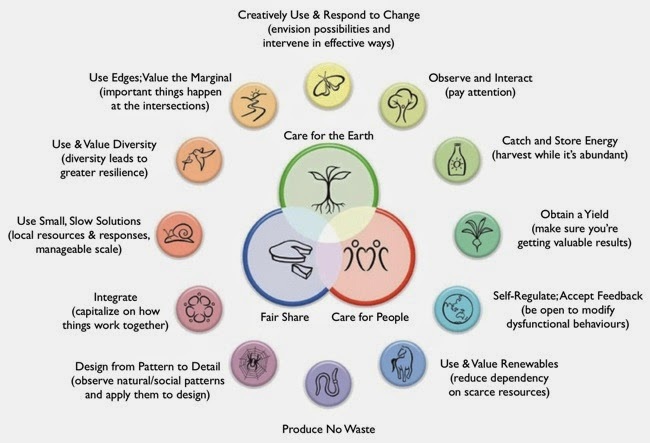 Not wanting to go into to much detail in this very large subject called permaculture, I recommend anyone who is interested in learning more to participate in one of the many PDC courses offered around the world or why not volunteer on a permaculture project? Or just applying and trying in your own way, in your garden, your social life or elsewhere where the ethics and principles might be applied. Here are as follows some pictures from the recent course. ENJOY! Cooking on the rocket stove!! !